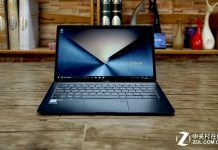 In this guide, I will disassemble an Asus ZenBook 13 UX333FN. I will remove the bottom case to access the battery, SSD, Wi-Fi card, cooling fan, speaker, heatsink, and motherboard. 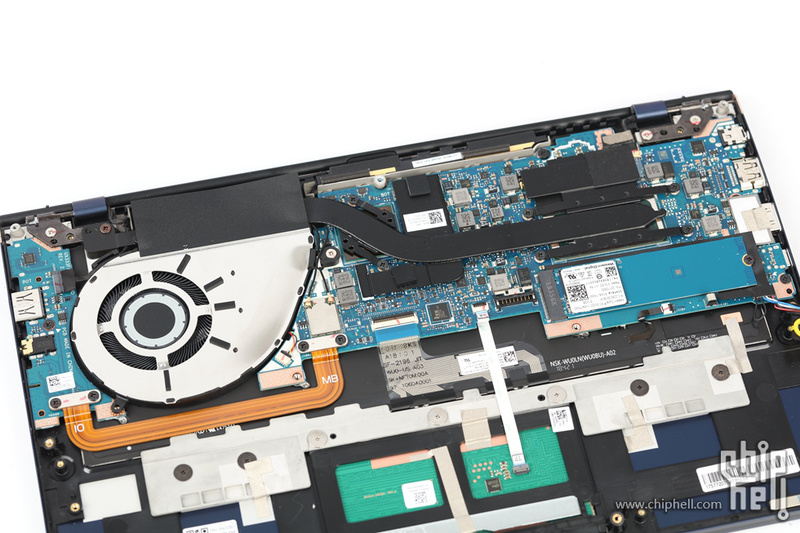 As with other ultrabooks, we need to remove the bottom case before we can access its internal components. As you can see from the picture, there are nine visible screws on the bottom case, but after removing these screws, you still can’t remove the case. 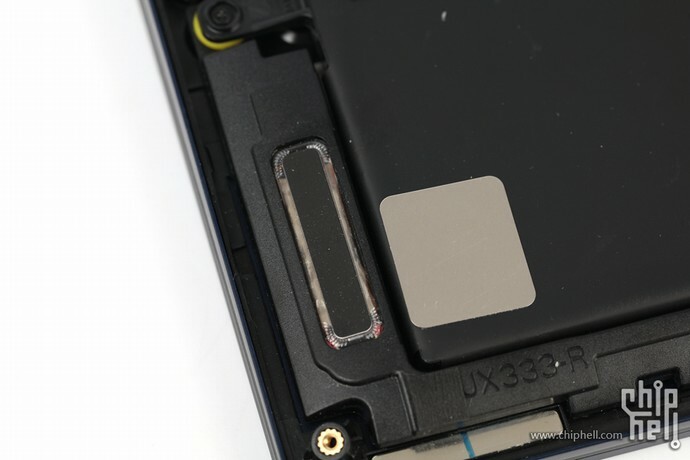 There are two screws under the two foot pads near the LCD hinges. You Need to remove the foot pad with the blade first, then remove the two screws under the foot pad. 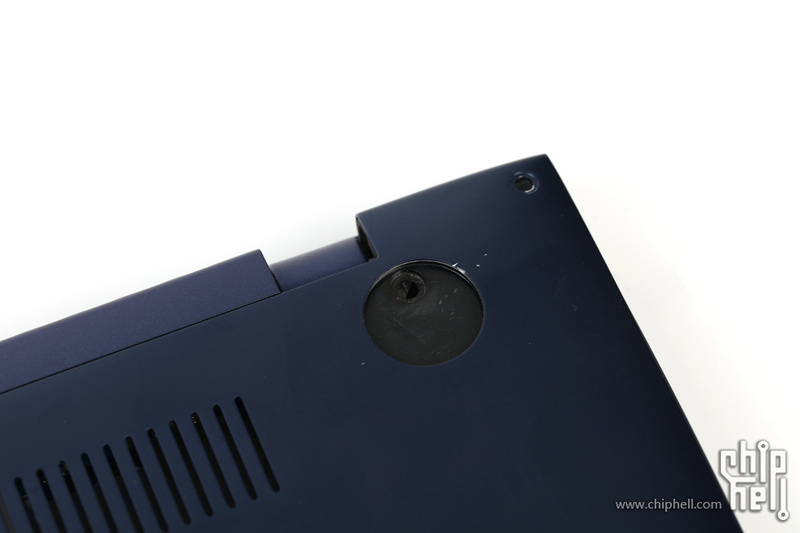 After removing the bottom case, you can access most of the internal components, including battery, speaker, SSD, I/O board, heatsink, cooling fan, and motherboard. 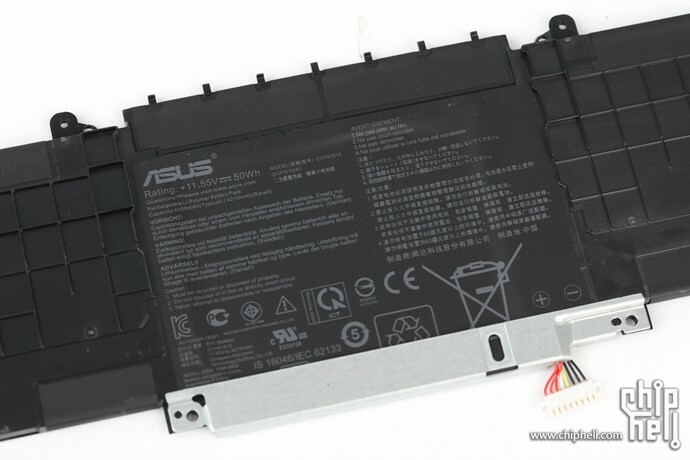 It can be seen that the battery occupies almost half of the space, and the layout of other components is also very compact and neat. This is its speaker module. 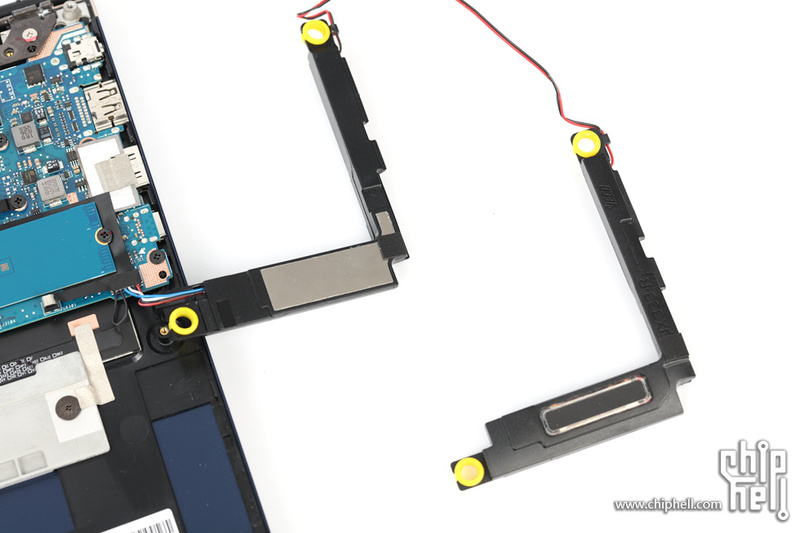 It is very easy to remove the left and right speaker modules after removing the battery. 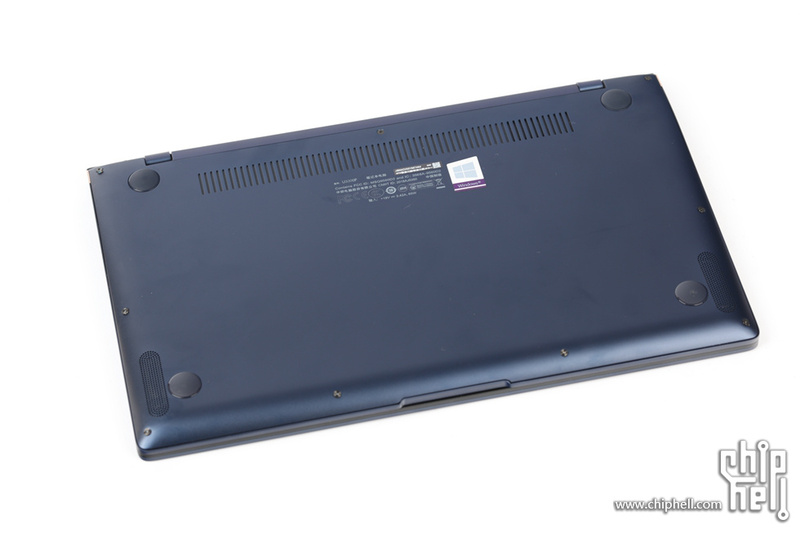 This laptop is equipped with an 11.55V, 50wh li-polymer battery, and its model number is C31N1815. Next, we will remove its cooling system. 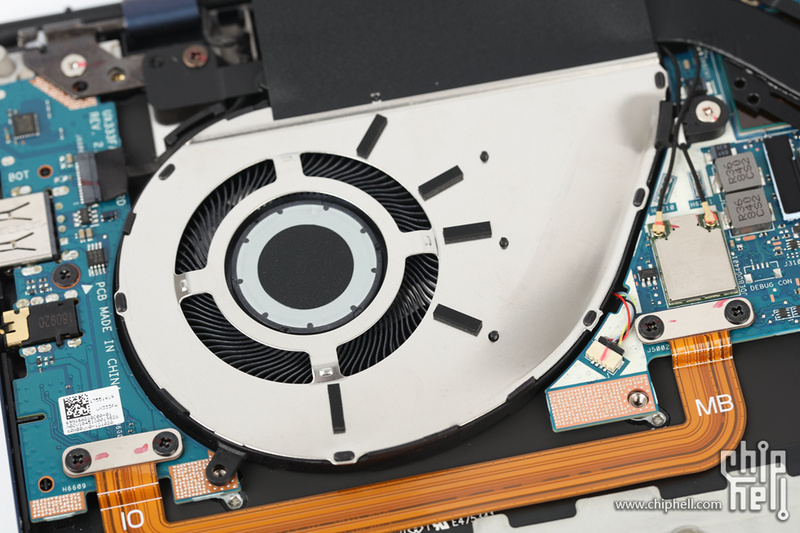 It can be seen that the fan volume is relatively large. 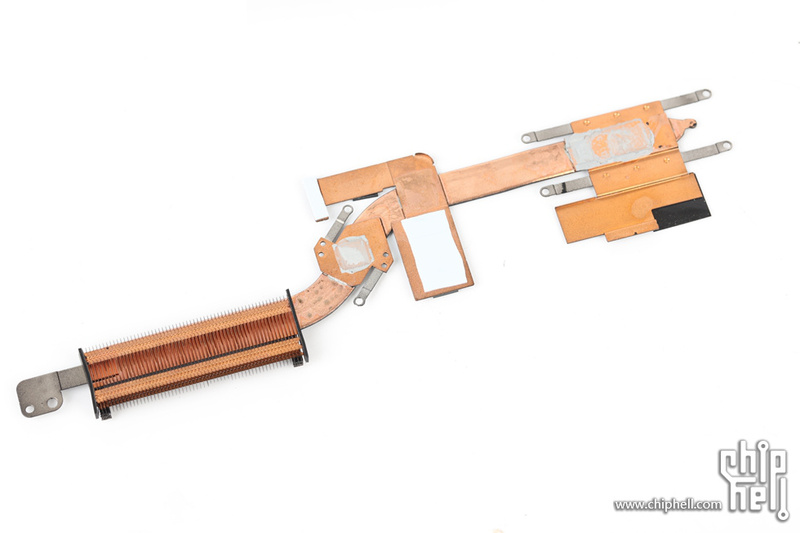 The CPU and GPU share a copper tube. This is the Intel i7-8565U processor chip. 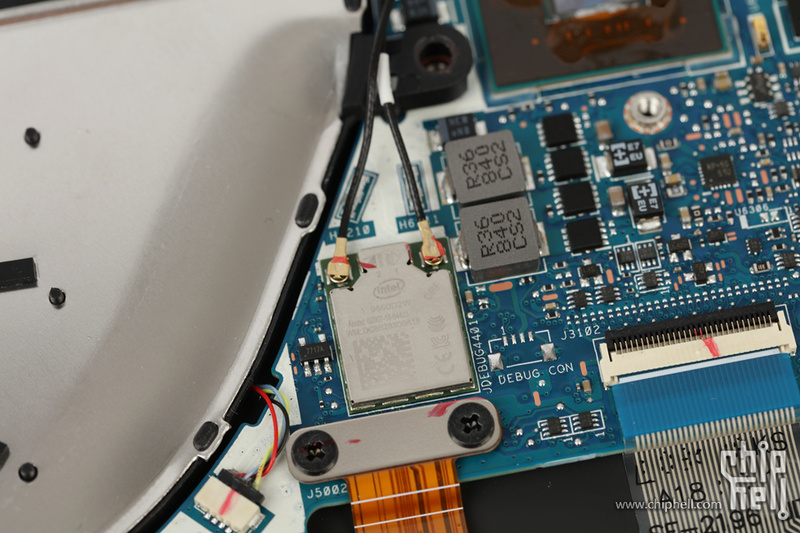 This is the NVIDIA MX150 graphics chip. Its memory chip comes from Micron. This is the PCIe NVME M.2 512GB SSD from Western Digital. 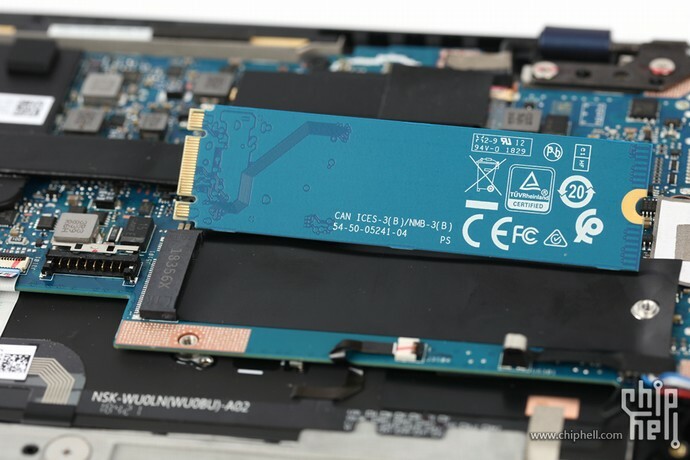 It is important to note that if you need to upgrade your SSD, the M.2 SSD with components on the back is not suitable for this laptop. 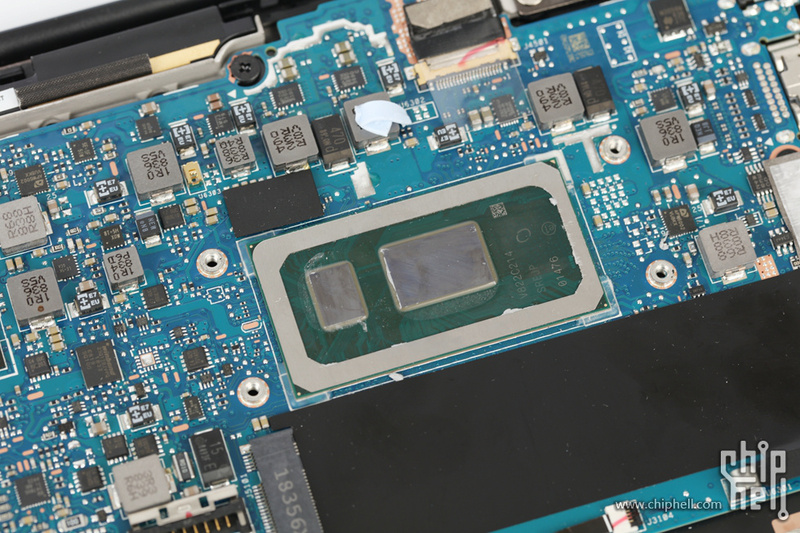 This is the 9560D2W wireless network card from Intel, which is soldered directly to the motherboard, so you can’t replace and upgrade the wireless network card. Will it working at 3200mb/s speed? 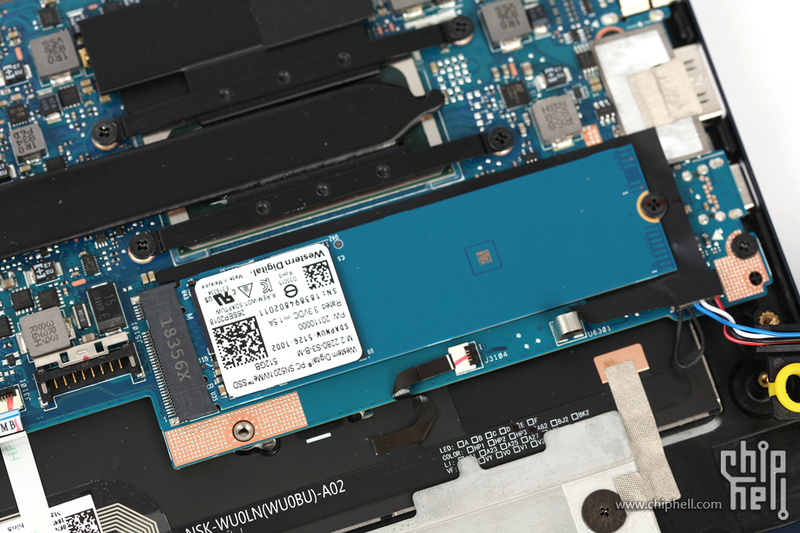 Yes, you can upgrade it to PCIe 3.0×4 NVMe SSD. As for speed, I am not sure.